We already know the first, lucky six who have the honor of paying Google $1,500 in exchange for Glass and the adventures and general ridicule that will follow. 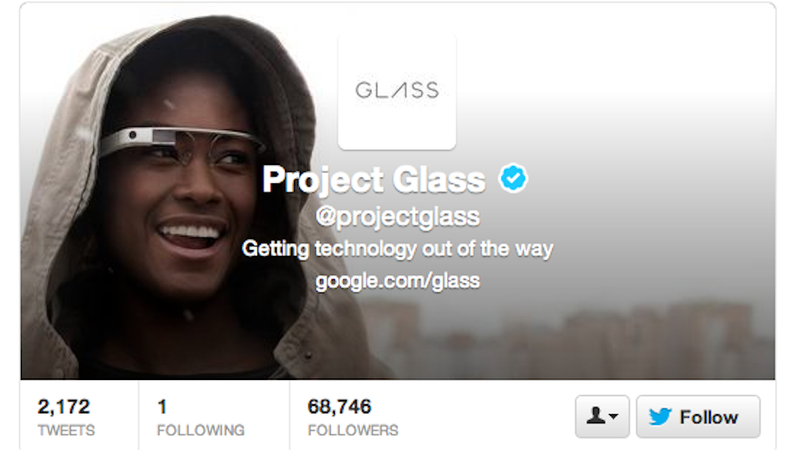 But now, @projectglass is in the process of announcing the rest of the lucky winners by replying individually to each of their past #ifihadglass tweets. Here's a sampling of the trailblazers in all their glory. There will be 8,000 in total. One child is going to be raised by the tender glow of a tiny transparent square #whenhisparentgetsglass. One man on Mt. Everest is going to come to terms with some very harsh realities about battery life #whenhehasglass. One woman is going to get sued by the television show Girls for copyright infringement #whenshehasglass. One man is going to shatter any potential that countless young men and women may have had at a successful career #whenhehasglass. Someone is going to get killed because Google thought it was probably a good idea to #givethiswomanglass. The internet will finally be relieved of its tragic and longstanding cat drought #whenthisguyhasglass. Google will have a lawsuit on its hands after injudiciously remaining silent on the "waterproof" issue #whentheygavethiswomanglass. One woman will more likely end up owing around $6,000, once you factor in the vet bill for glass and metal extraction #whenherdogeatsglass. And one woman probably isn't going to respond to Google's DM. For she does not want Glass.